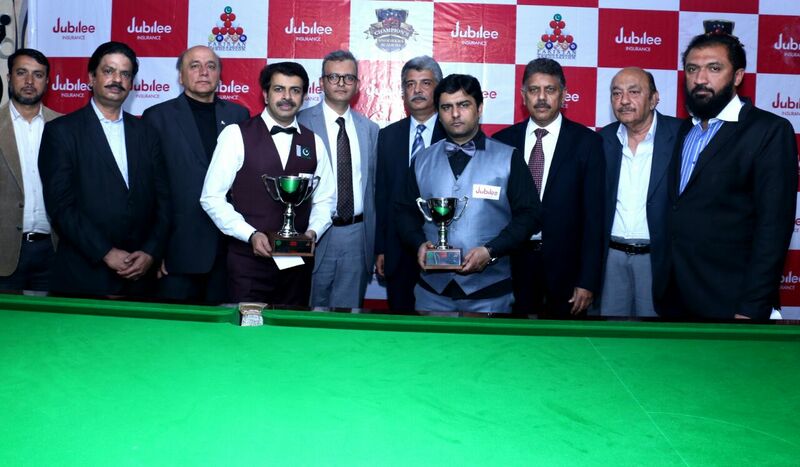 The event was organised by Pakistan Billiard & Snooker Association, Snooker & Billiard Association of Pakistan and the sponsors Jubilee Insurance. – Mr. Farid Mukhtar presented the Highest Break Prize of Rs. 5000 Trophy to Muhammad Yousuf (110).